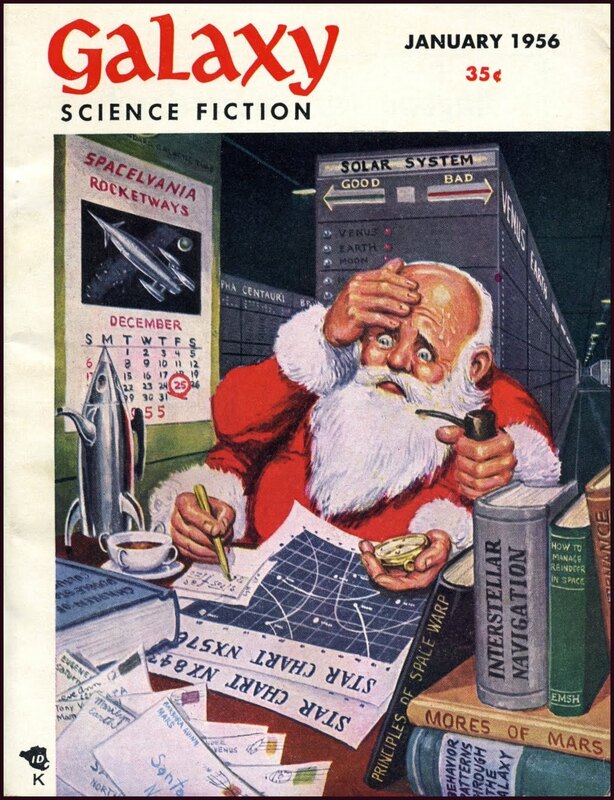 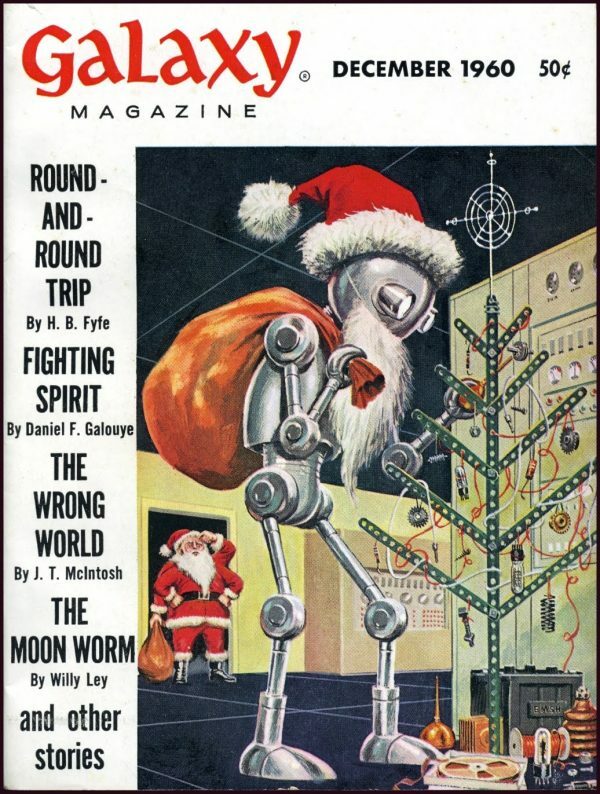 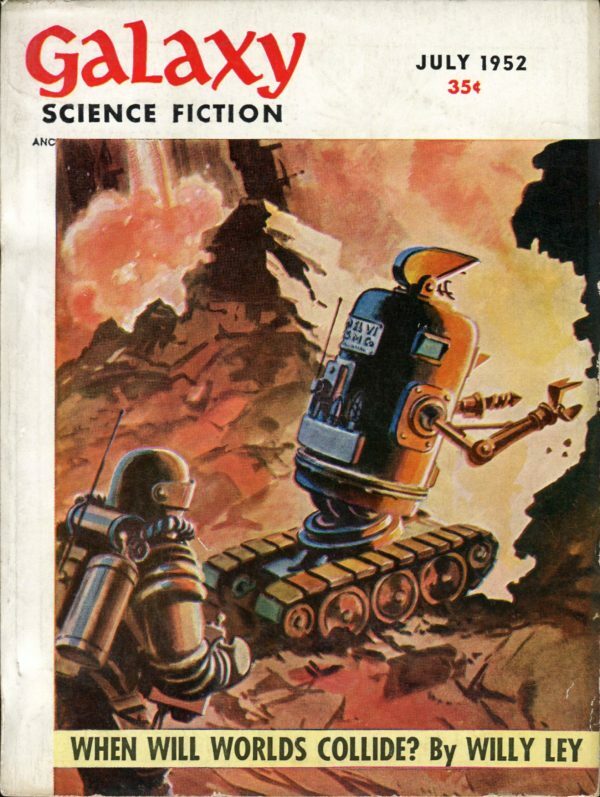 Posted on December 5, 2018 Categories CoversTags Galaxy, Jack Coggins, Robots, Sci-Fi1 Comment on When Will Worlds Collide? 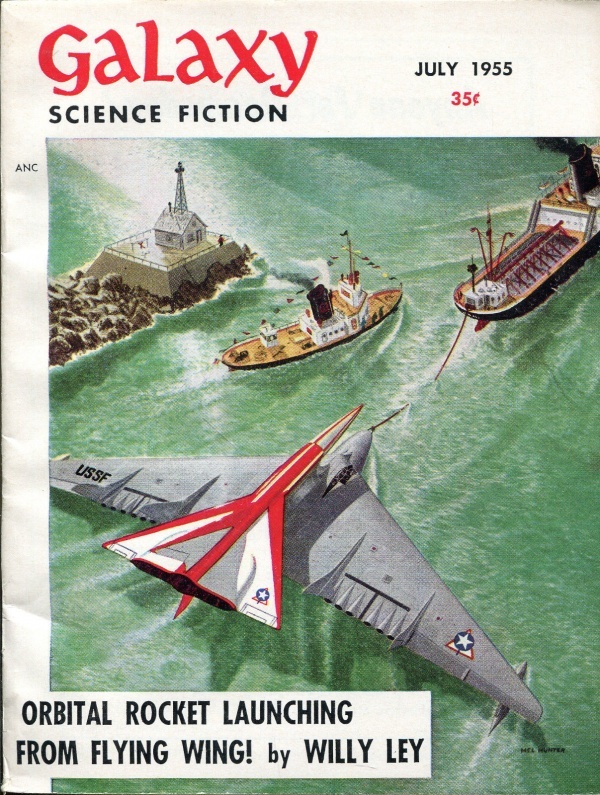 Orbital Rocket Launching From Flying Wing! Posted on July 11, 2015 February 22, 2018 Categories CoversTags Aircraft, At Sea, Galaxy, Magazine, Mel Hunter, Sci-Fi, Space ShipLeave a comment on Orbital Rocket Launching From Flying Wing! 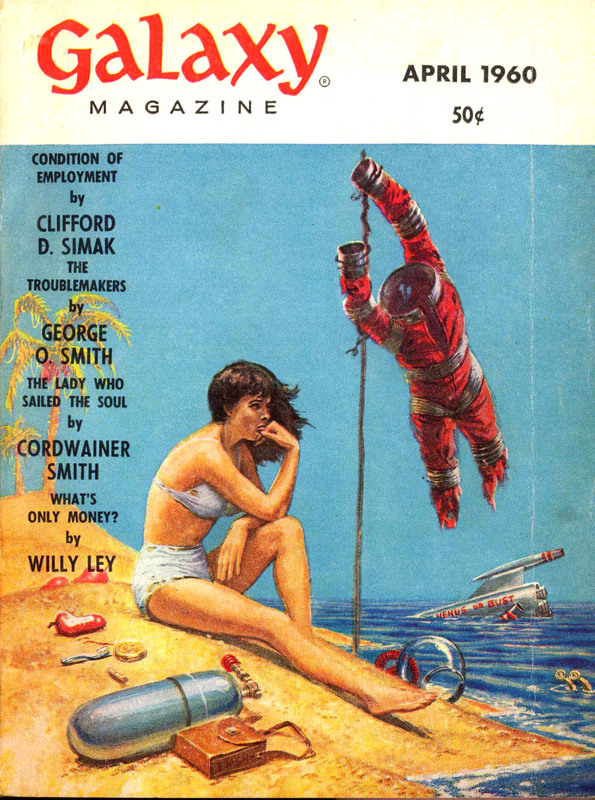 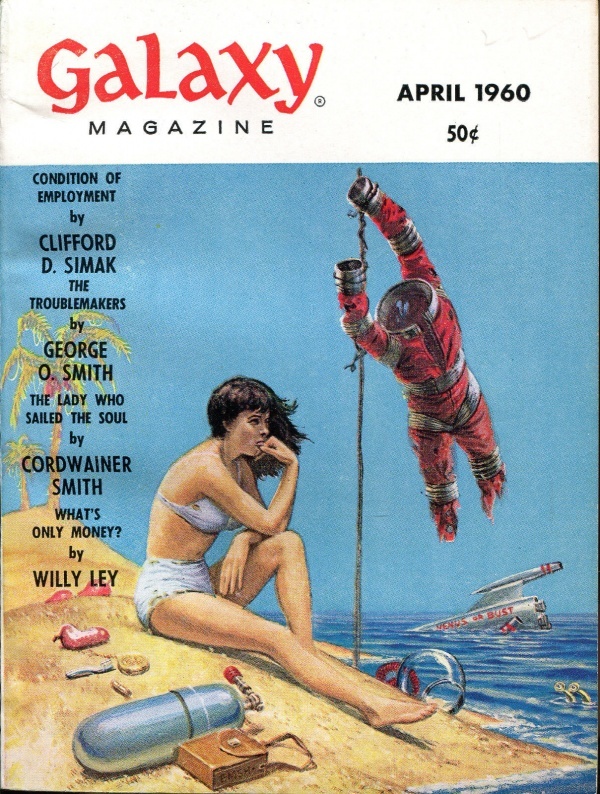 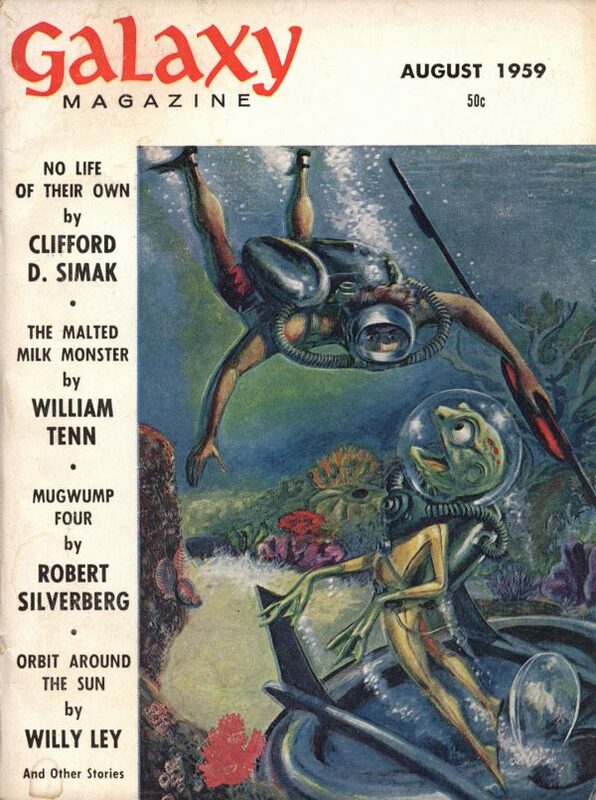 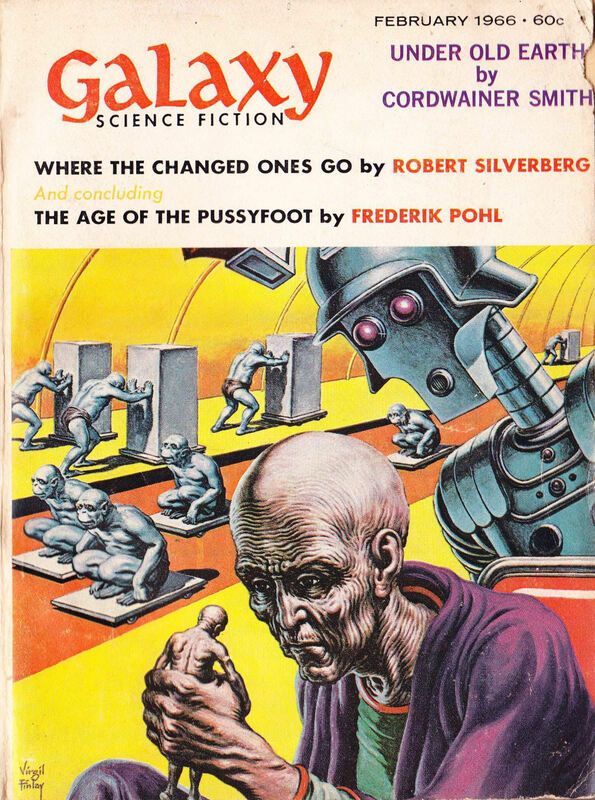 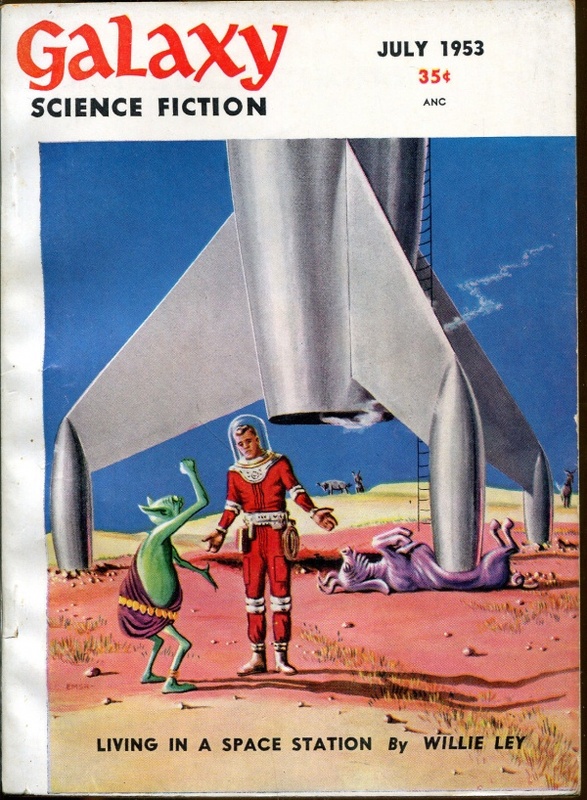 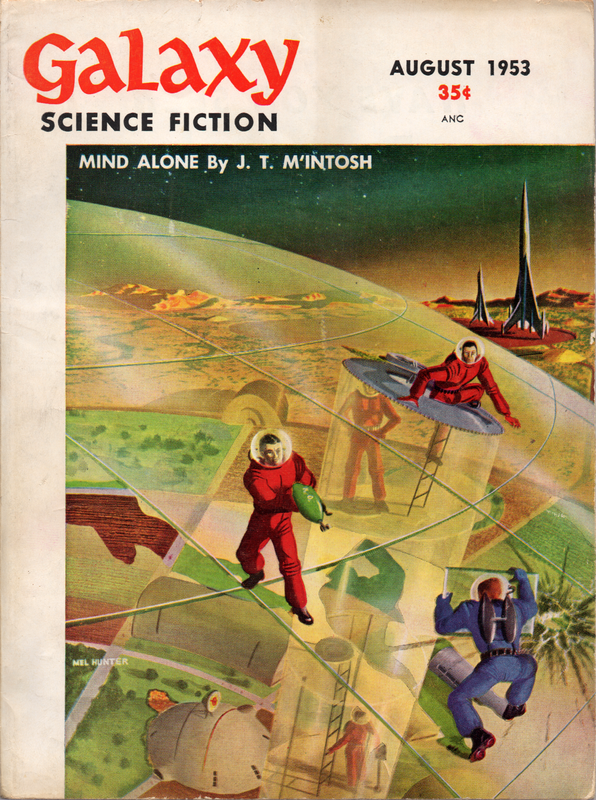 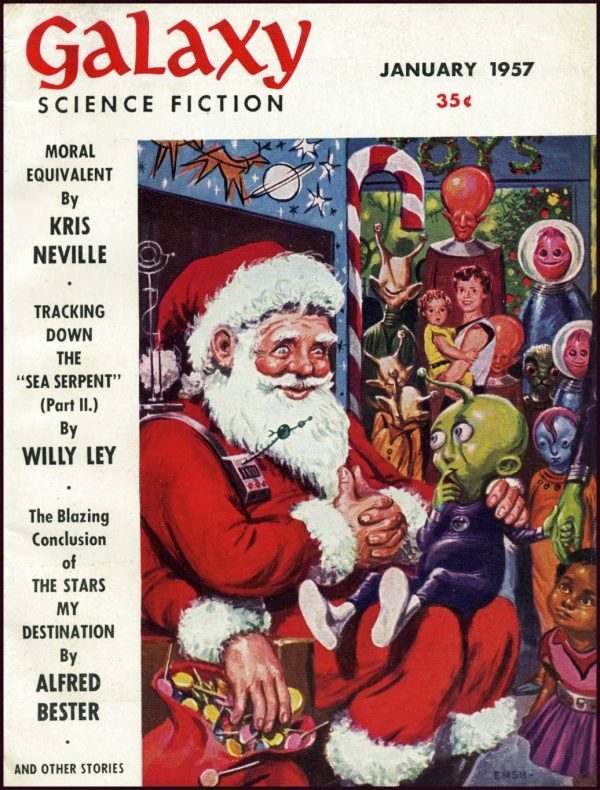 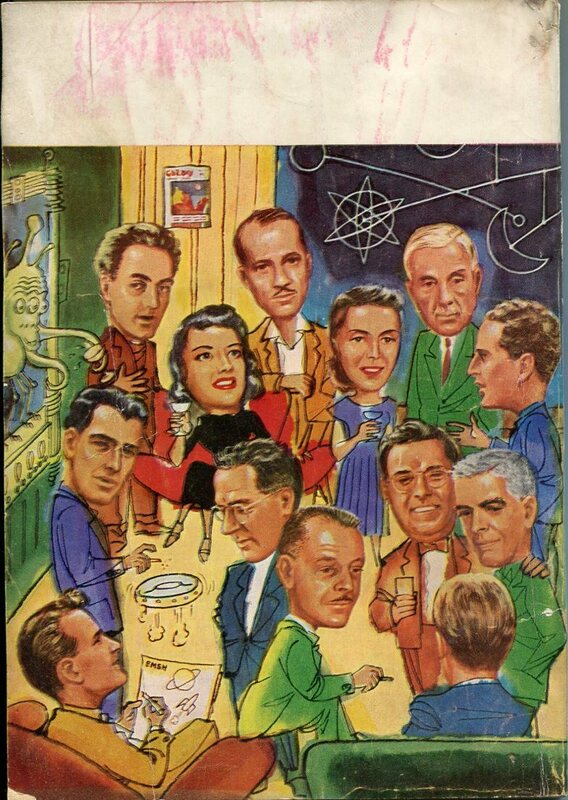 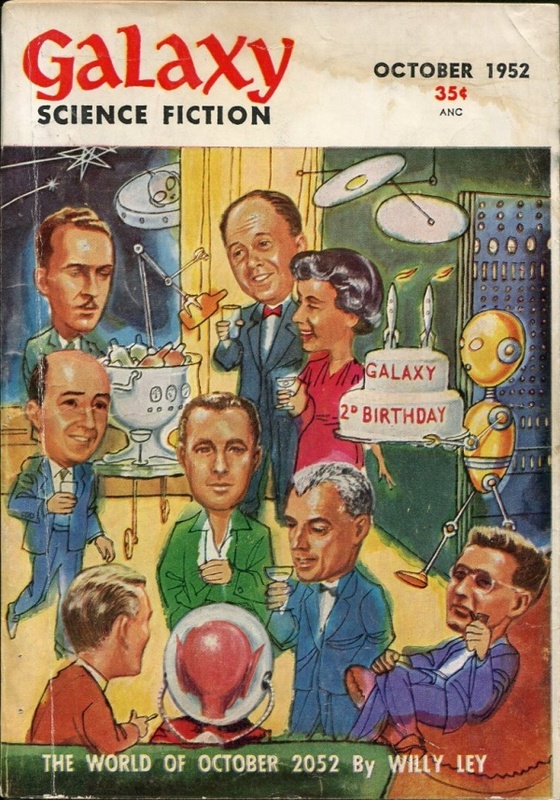 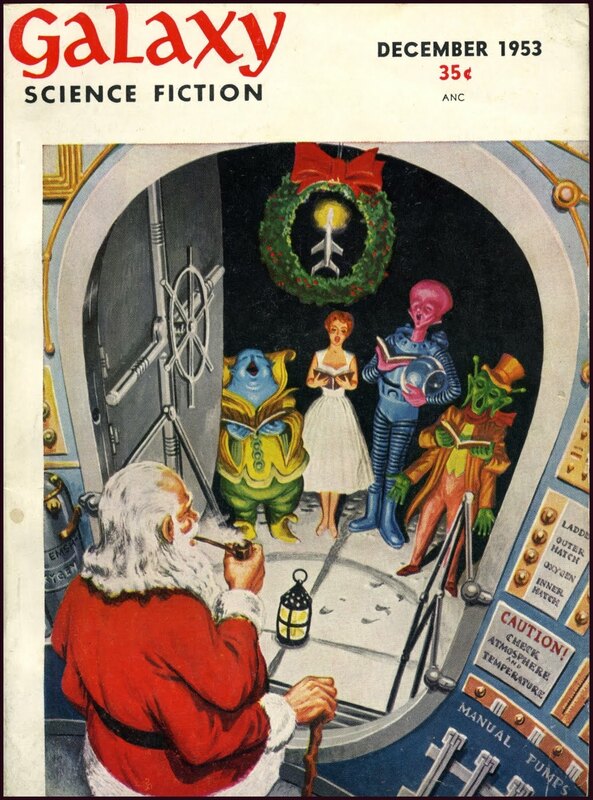 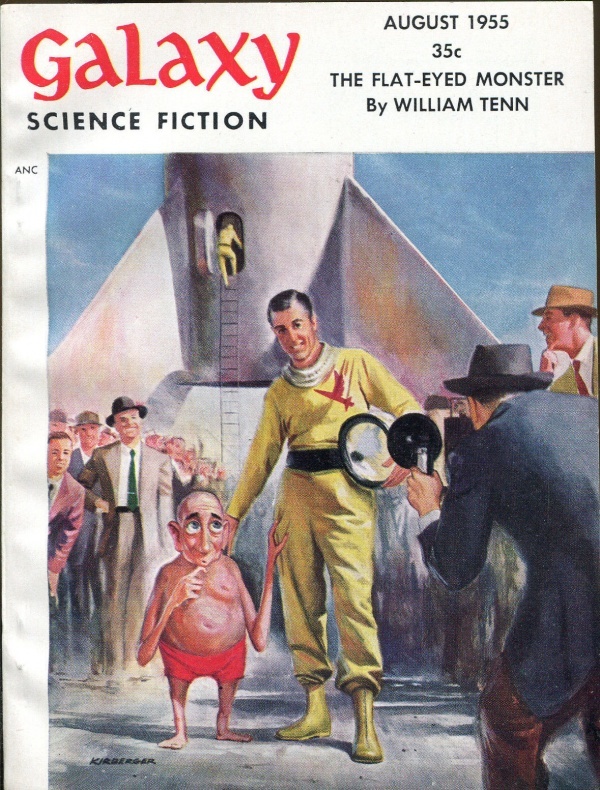 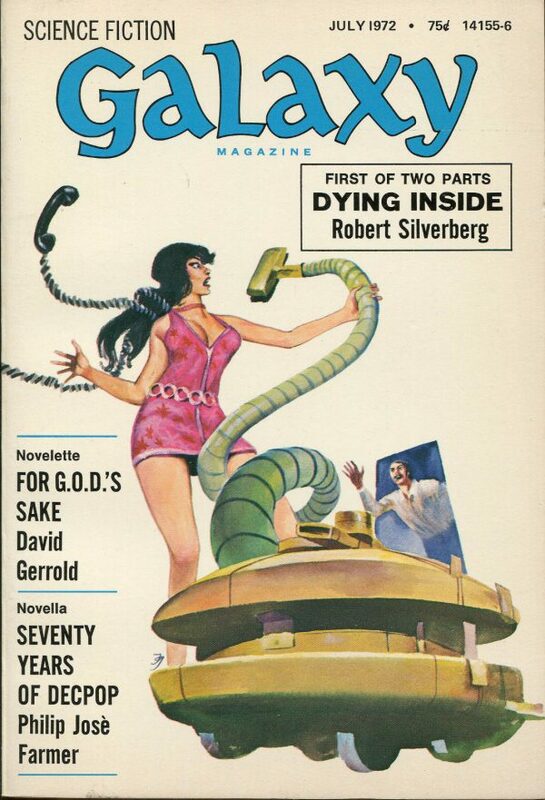 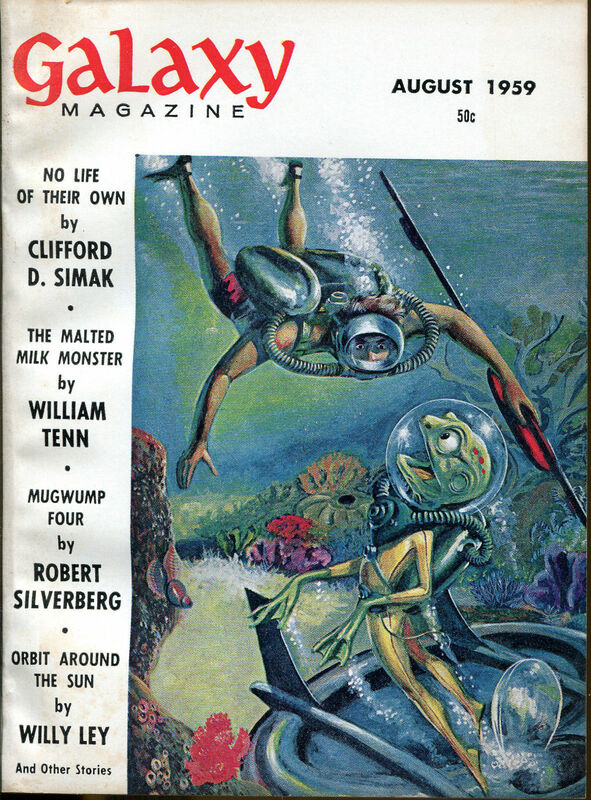 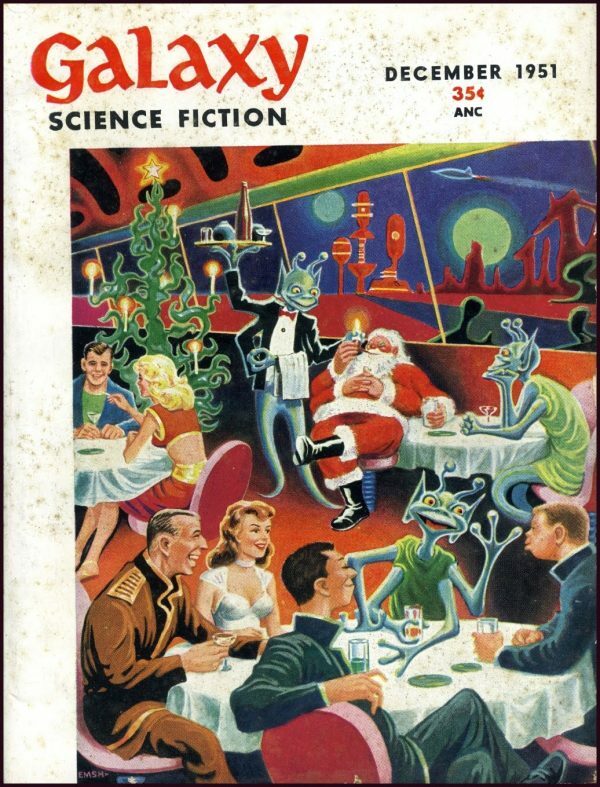 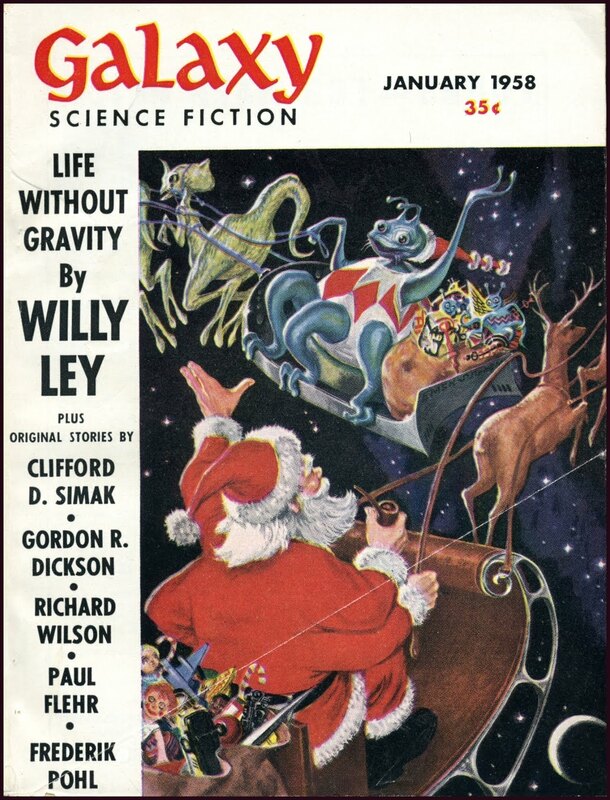 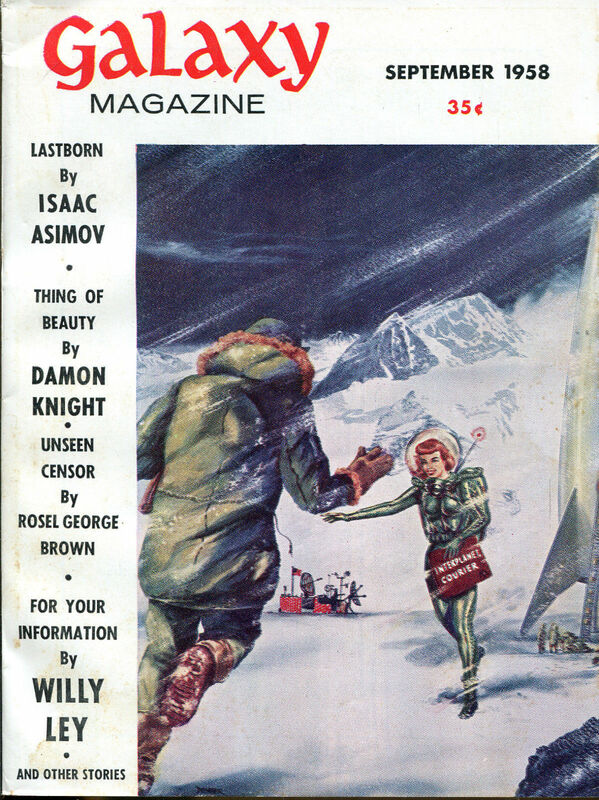 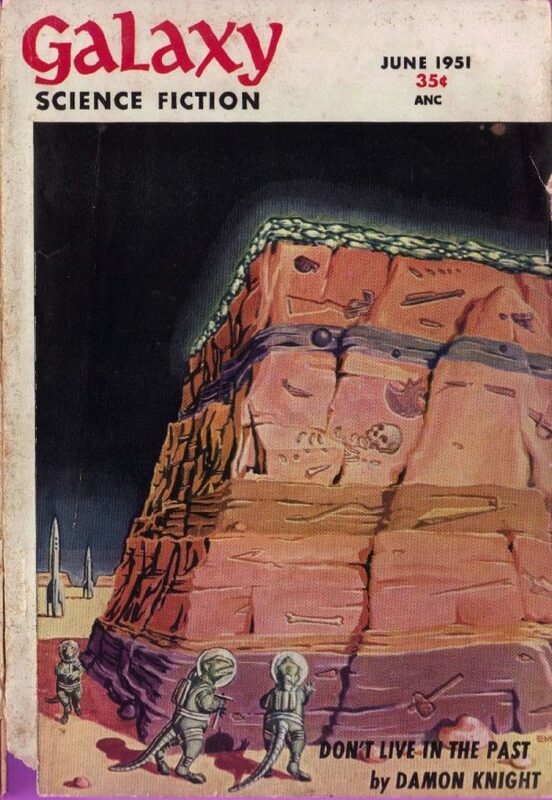 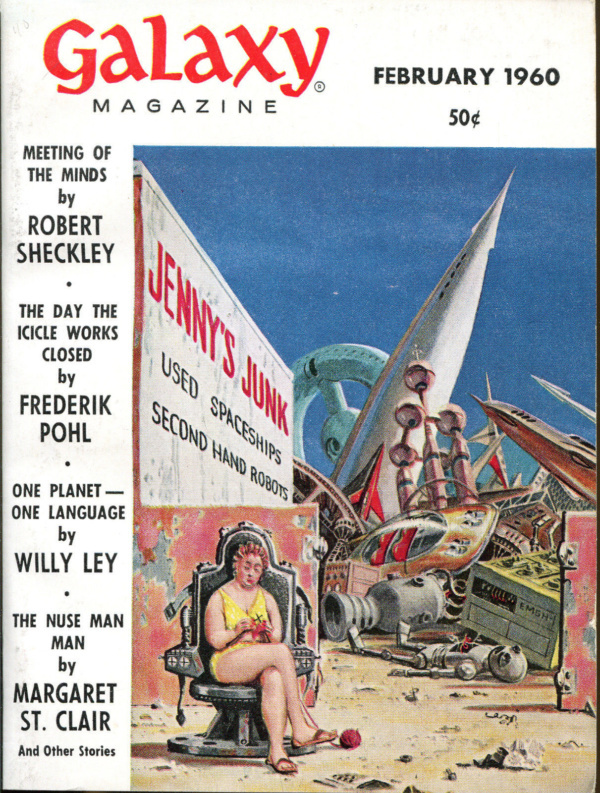 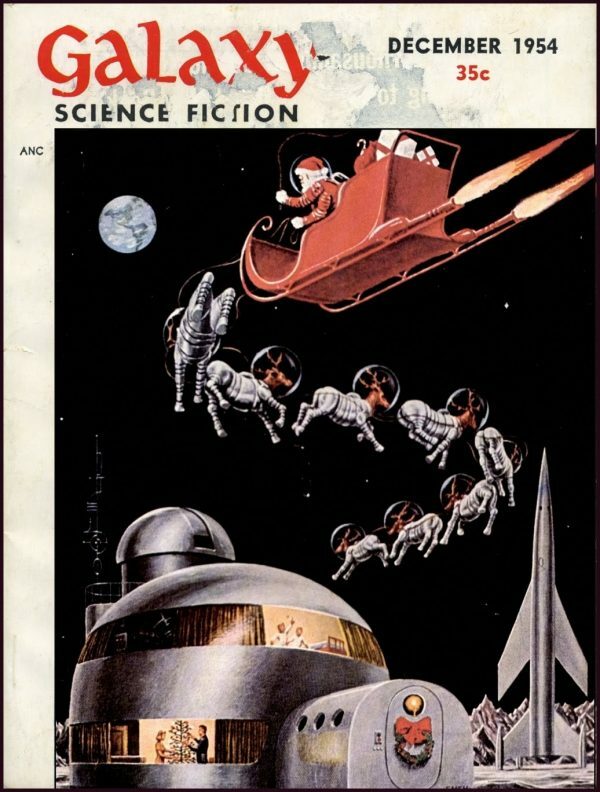 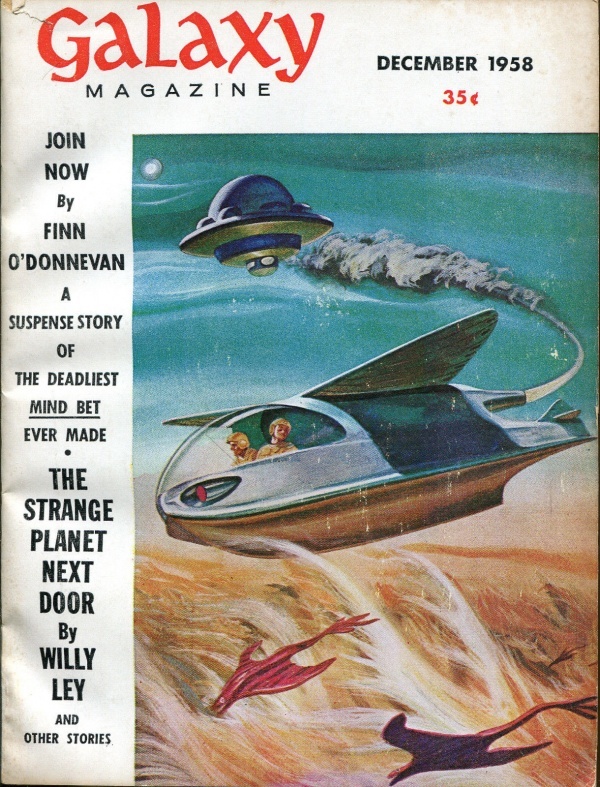 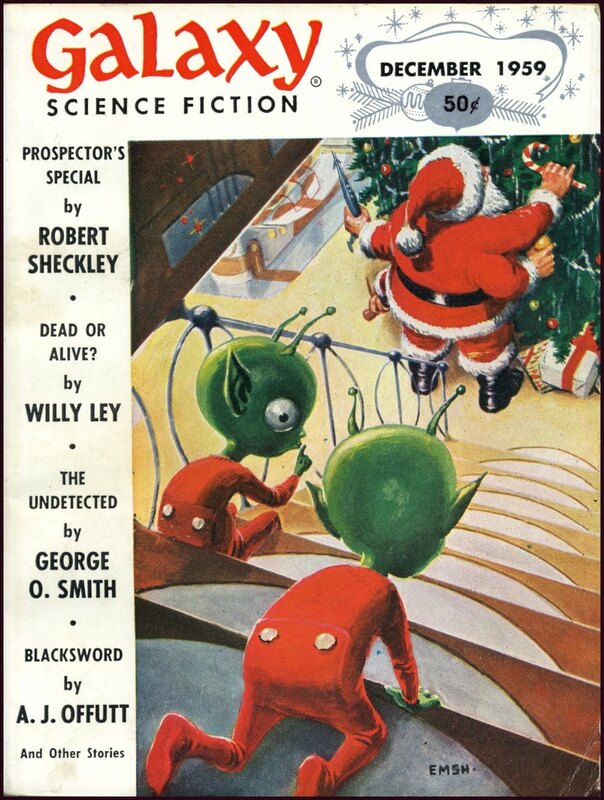 This wrap-around cover features top sci-fi pulp authors of 1952. 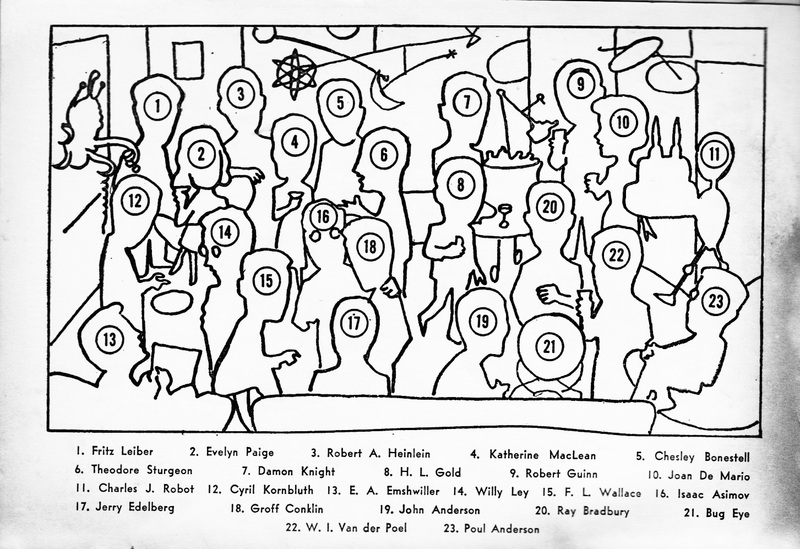 The identification guide from the inside front cover is courtesy of Lothar Schenk.